For older people falling is one of the more frequent causes of trauma. Tai Chi (Taiji) is a classical Chinese movement method for being more stable in your body (and emotions, mind, and spirit). In its full flower it is a potent martial art, but most people practice it for health purposes today. Tai Chi is a practice that is proven to decrease the number of falls that senior citizens take. By extension, probably everybody who learns some Tai Chi becomes less prone to falling. 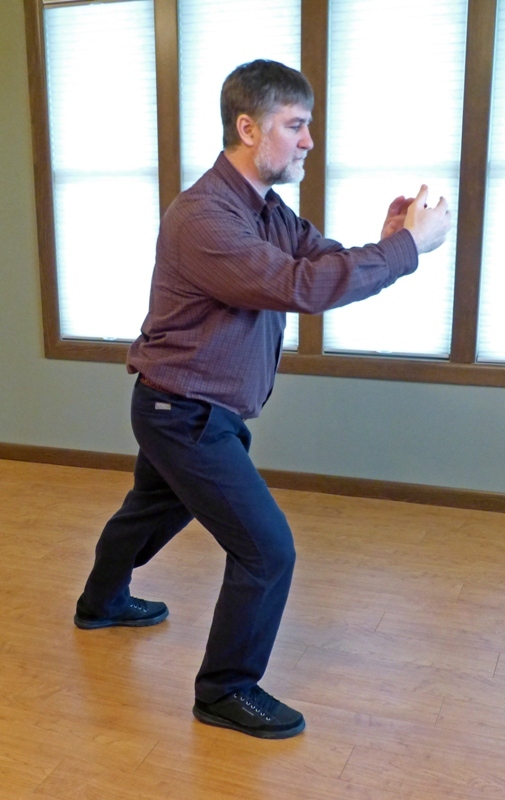 There have been a number of studies that look at Tai Chi practice and vertical stability. I remember first reading about such a study one in the mid-nineties. A group of senior citizens were taught a simplified Tai Chi form 2 times a week for 10 weeks. Their number of falls decreased significantly. Other exercise programs tested did not give that kind of physical stability. Even months after the end of the class the number of falls amongst them stayed at the lower levels. There have been several such studies about the efficacy of Tai Chi. The one I am referring to is known as the Emory Study. It can be found (among other places) in the Journal of the American Medical Association (JAMA) in the May 3, 1995 issue. Taiji (Tai Chi) is, among other aspects, a precise method of developing body awareness, physical relaxation, structural alignment and body unity. If you are not too stable now, Taiji can teach and train you to become more physically stable, more dynamically able. Balance in your body, in this world, is not set in stone, but can be greatly improved. If you are like most people, when you were learning how to walk—and then growing up—you got little or no express guidance in the best way to stand, walk, stride, jog, run, or change directions with skill and safety. Few people have. You probably just scrambled and ambled as best as you could figure out at the time. This probably left some less-than-optimal habits that still influence you today, habits that lead to more or less instability. These can be changed with Tai Chi training. Slow Movement: Slow and deliberate movement builds strength, body awareness and presence of mind. You can pay attention to motions that were tripping you up when you went at normal or fast speed. Rooting: Rooting means learning to sink your weight into the earth. This makes you less tippy. You learn to step by sinking the power of the standing leg into the earth and slowly rolling your other foot onto the ground in front of you. You don’t go all out, all-now with the step, but rather commit in a steady, forward and down continuum. Smooth Movement: Taiji smoothes the rough spots. Taiji polishes ratchety movements and crotchety joints. Soft Stepping: Instead of plodding and plopping down you practice placing each foot gently. It is a foot “fall” only in the sense that feather falls to the ground on a breath of wind. Kiss the ground with your foot: Don’t stomp it. Relaxation: Tension leads to instability, vertical uncertainty and wobbliness. The relaxation training of Taiji naturally brings more ease and space to rigid muscle fibers and compressed joints. Breathing: By making your breath more full, low into the belly, even and smooth you gain an automatic improvement of stability. Getting out of Your Head: Being overly heady as you walk is dangerous. By not paying attention to your surroundings you could trip over any little thing. Tai Chi practice helps you become aware of the ground in the present moment. Tai Chi Secrets: Learning such Tai Chi “secrets” as the Loading the Kua, Turning from the Gate of Life, Separation of Yin and Yang, Song, and Peng helps you greatly in your movement strength and abilities. For instance, practicing the Separation of Yin and Yang; instead of being all balled up in one congealed mass, you differentiate the parts that are the stable from those in motion. Envision a panther stroking the ground in its majestic walk, flexibly reaching then bringing back—always stable, always soft, always in full control. The form I am teaching this Autumn is based on the 10-movement form taught to those study participants. If you are not in my geographical area I encourage you to seek out Tai Chi where you are. There are more and more experienced practitioners and teachers out there. The sooner you learn it the sooner you will start to reap the benefits. A little Tai Chi practice can make an outsized contribution to your life. It is best to begin your balance training before you are a senior citizen, when you are likely to have more falls. If you have already reached that golden plateau, there is even more reason to seek out the practice. This short Tai Chi form is performed on a line, rather in circles like the Simple Taiji Forms. The line goes from right to left. It is easy to learn and fun to practice. Later we will perform the mirror version, stepping on a right-handed line.